At least 23 trans* and gender non-conforming people were murdered in 2015, and at least 6 have been murdered in 2016—the vast majority of whom were trans* women of color, and many of whom were immigrants, people with HIV and/or trans* disabled people. One in 4 trans* people have experienced violence, and 47 percent of trans* people have attempted suicide. Trans* people across the U.S. are leading the efforts to end this violence. On this panel, organizers who are trans* people of color, trans* disabled people, trans* immigrants and trans* people who are HIV positive will share their work. We’ll also address hate violence, intimate partner violence, ending laws that criminalize our lives, HIV, disability, organizing in the South and racial justice. Lydia X. Z. Brown is a genderqueer east asian autistic activist, writer, and speaker whose work has largely focused on violence against multiply-marginalized disabled people, especially institutionalization, incarceration, and policing. They have worked to advance transformative change through organizing in the streets, writing legislation, conducting anti-ableism workshops, testifying at regulatory and policy hearings, and disrupting institutional complacency everywhere from the academy to state agencies and the nonprofit-industrial complex. 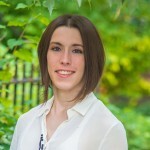 Lydia is a 2016 Holley Law Fellow at the National LGBTQ Task Force. Lydia is also TASH New England co-president, Massachusetts Developmental Disabilities Council chairperson, and an Autism Women’s Network board member. Lydia is the lead editor of All the Weight of Our Dreams, an anthology by autistic people of color. Their work has been featured in various publications, including Criptiques, Torture in Healthcare Settings, QDA: A Queer Disability Anthology, Tikkun, Black Girl Dangerous, hardboiled magazine, POOR Magazine, and the Washington Post. As the Lead Organizer at the New York City Anti-Violence project (AVP), LaLa leads AVP’s public community organizing work, doing advocacy, outreach and networking on behalf of LGBTQ New Yorkers who have experienced violence. LaLa also plays a key role in AVP’s Rapid Incident Response team, which responds whenever incidents of hate violence, sexual violence or intimate partner violence impacting LGBTQ and HIV-affected New Yorkers become public. LaLa is a gifted public speaker, speechwriter who speaks out on issues related to anti-LGBTQ violence, especially the disproportionate violence that trans and gender non- conforming people of color face. LaLa is a member of the National Coalition of Anti violence Program (NCAVP) Movement Building Committee. In additional LaLa spoke at the White House for the first trans women of color briefing for Women’s History Month, testified at the historic Congressional Forum on violence against transgender people.